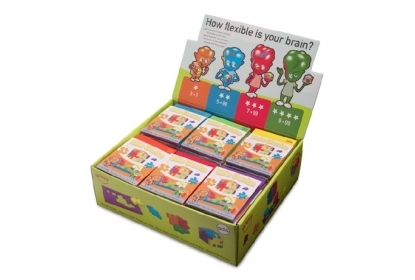 Little Genius Counterbox - 60 foam puzzle cubes inside, flat packed in their frame. A Little Genius Counterbox contains 60 foam puzzle cubes (6 difficulties x 10). Single puzzles are flow packed with an instruction card. On the counterbox the making of a more-coloured cube is visualised.